I wouldn't have had a single animal in my classroom or infact my entire school. I'm afraid I wouldnt have been able to trust them shoving things in the cage, getting them out when your backs turned etc. Maybe your pupils are better behaved? As I said the degu has yet to have anything other than peanuts shoved in her cage and she certainly hasn't been let out without permission, even though there is no lock on her cage. I would probably put little padlocks on the ratties' cage just to be sure and they will probably be positioned next to my desk where I can keep an eye on them, the way my classroom is arranged means I can talk to individual kids without turning my back on the others. There certainly woudn't be a free for all over the ratties and they wouldn't get more attention than they could cope with. It's not a primary classroom, it's a secondary classroom so things are a lot more controlled. Also regards leaving them, they could potentially end up left for longer if I kept them at home and *didn't* take them into work with me one day... if I was rushing in the morning (sometimes unavoidable) and didn't have time to pick them up they could be left from when I go to bed (10-11pm) until I got in from work (5pm or potentially later if there's a meeting or similar). Regards free running time, my classroom could be rat-proofed and they could run around while I do my marking/planning after school although I would have to watch out for the cleaner coming in! The first thing I'd train them to do woud have to be come to call. Or I could get some kind of large pen to set up in the middle of the class room and fill it with fun rattie things then they could even play in there if I was having a quiet lesson. Lots to think about but I've been doing a lot of thinking! Werehorse wrote: As I said the degu has yet to have anything other than peanuts shoved in her cage and she certainly hasn't been let out without permission, even though there is no lock on her cage. I would probably put little padlocks on the ratties' cage just to be sure and they will probably be positioned next to my desk where I can keep an eye on them, the way my classroom is arranged means I can talk to individual kids without turning my back on the others. Luckily for me I work in a very good, although still comprehensive, school. And generally the kids are on side and if I'm serious about something they know it and don't test that boundary, they instinctively go for the boundaries they kind of know you aren't *that* bothered about rather than just being complete tear-aways. There's the odd one or two but it's talking when I'm talking and being giddy and not working rather than weilding knives or throwing furniture. 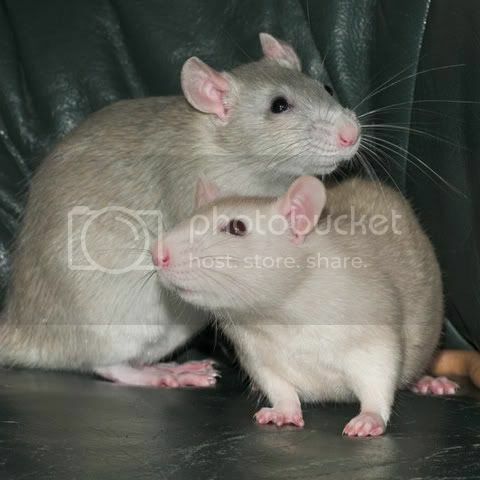 We have homed a pair of rats to a teacher as classroom pets for primary aged school children, although they were his pets they were invaluable to to the children for learning about the caring and responsibility of having pets. The children kept us updated with drawings etc., and really loved the rats. In the right circumstances I would have no problem in doing this again. My suggestion would be to have a group of between 4 and 6 with a spread of ages based at home, and select which ones to take in on any particular day. Cagewise I'd recommend having something like a Ferplast Brio aviary for the classroom - it's big enough for the whole group if necessary and is also tall so allows for interesting layouts, it's all metal with narrow bars so no chance of rats escaping, plus it's free standing on wheels so can be easily moved and doesn't need to use up table space. I hadn't thought of having a cage at home and a cage at work - doh! - that would be a good idea and make bringing ratties to and from much easier. Are rats as sensitive to temperature change as rabbits? Or would they cope with a cage in the workshop (where I have more space) rather than in the house (where there is less space)? My main concern is that from the quotes above, I get the impression that you don't appear to primarily want the rats in your personal life (of course I may have misinterpreted your phrasing) - as a breeder I would want to feel that you were going to truly love the rats, i.e. to want them in your house and to spend your free time with them in a way that you can't when working at school - most people are out at work all day, but share their evenings with the rats, giving less attention in terms of time perhaps, but the interaction is more focussed. If your rats were out in a workshop I would guess they might not get that type of interaction (plus there's the issue of insulation/ventilation etc. if the workshop is not an integral part of the house). Not at all. I was just thinking "out loud" that I would be able to fit a bigger cage in the workshop than in the (tiny) spare room or (tiny) office, where they would get *enough* space (with some jigging around) but they could get *more* space in the workshop but given what people have said about the temperature change they would have to stay in the house anyway. I think it sounds like you have really thought this through and that the rats would lead a full and active life with you both in the class room and out of it. I hope you find a good breeder that is willing to help you out! When i was at school we had the normal fish and things but no mammals, would have been great to have them on the class room though and would have helped in some of the debates. I went to a rural school so most of the pupils had animals or livestock and wouldnt have dreamt of doing anything to the animals. I think having animals around teach some very important lessons to kids. When I was in Year 7 (so 11 years old) we had a classroom hamster and 2 rats. It wasn't a particularly nice school but there were never any problems as far as I can remember, no one poked anything inappropriate through the bars or set fire to the hamster. Mostly, the kids who weren't interested in animals completely ignored them and the ones who were interested were nice to them and they were never left unsupervised. When the pets all got a bit older they were 'retired' and went to live with our form tutor so at least there were never old pets being gawked at. I think its doable and if you decide to go ahead with it then good luck. I would say no because if a child got bitten it would be all over the newspapers and would do much damage to the hard work already been done to help improve the public perception of rats. Also what is in it for the rats? For me their welfare comes first. And not taking them home at night, every night is wrong. CatherineP wrote: Also what is in it for the rats? For me their welfare comes first. Some rats truelly thrive on the kind of attention they get from this kind of situation, they can get so much from the daily hustle and bustle (most rats actively enjoy watching people) as well as attention from many different people. It's one of the reasons i take my rats into shows and have taken them into schools for the day in the past. I've had several of them actively attempt to get back out of the cage or carrier to get some more attention. One after 4 hours straight of PR work in the middle of august having met hundreds of people (county show), we were just desperate to get him to have a rest and some food and drink lol. Some rats are born stars. It would work better if you have a few rats you could pick the attention seekers from though, some rats aren't fussed by lots of attention, and dislike change.